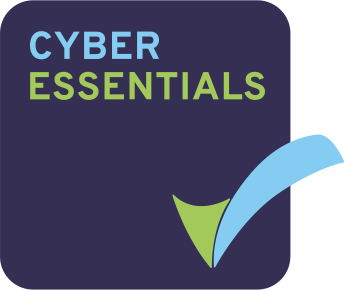 The Cyber Essentials Scheme is a government-backed scheme that helps organisations guard against some of the most common cyber threats. Organisations that pass their applications demonstrate a strong commitment to cyber-security. The scope of this certification covers the IT infrastructure currently used within iHASCO Ltd, including, but not limited to, servers, workstations, firewall hardware, anti-virus and software applications. All equipment within the scope of this assessment is at the iHASCO Ltd office in Bracknell, UK. Our certification provides you with the reassurance that our defences will protect against the vast majority of common cyber attacks! 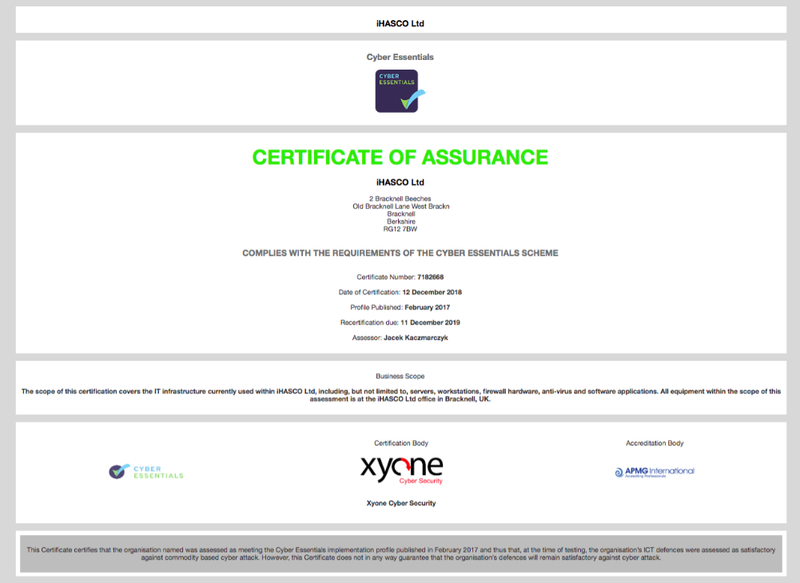 What does Cyber Essentials actually test? Boundary firewalls and internet gateways - all networks should have a properly configured firewall. Secure configuration - default configurations are often vulnerable, these need to be made secure. User access controls - only the correct, authorised people can access systems. Malware protection - protection against malware and other viruses. Patch management - all software and systems should have the latest security patches installed.